Our Repair Philosophy: Spend your money like our own. Make repair decisions that have your best interest in mind. Our Factory Trained Technicians are ready and able to meet any of your pool equipment service needs. Anything from basic equipment repairs up to the replacement of any or all of your pool’s equipment. Where appropriate, we will repair your old equipment, up to the point that we believe it’s in your best interest to have it replaced. 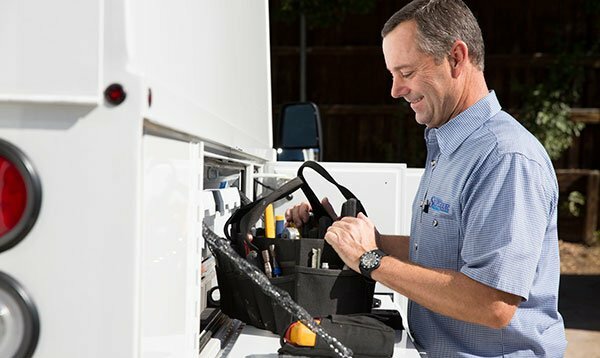 We can and will repair just about anything, but at some point repairing old equipment can be like “Throwing Good Money After Bad.” We will always let you know when we think a repair is not in your best interest, but at the end of the day, you make the call that suits you and your budget best. If you would like to add a computer control or other labor saving device like chlorinators, or Automatic Pool Cleaners, we are capable of retrofitting these systems to your pool. Let us estimate the addition of these systems for you.